Portugal is a land of extremes - in a small village in the north you can sit next to a Roman ruin, on a small square probably used for the first time by the Celts enjoy a religious feast where all the "elderly" of the region come to look at the vines which may have been created by the Phoenicians. Women with headscarves sing traditional songs partly influenced by the Moors who have lived here for centuries and two old men sit chatting about the past under an orange tree plant here when Portugal discovered the world in its golden age of discovery voyages. At the same time a few kilometers to the south in a city like Porto ring a mobile phones of a number of students who talk about the new DJ that will perform next week. 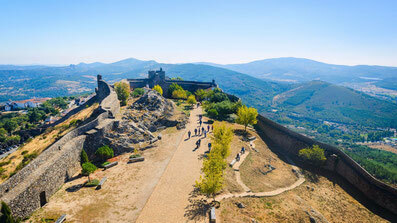 Portugal is perhaps the poorest country in Europe but rich in tradition and history. And they are kept alive even though the small villages and rural areas empty and many (young people) try to get a better life in the cities or abroad. Not only in everyday life is a great diversity to be seen - also in the landscape. You can go to the sunny tourist south (the Algarve) which has grown into a large resort but you can also visit the hills where cork and lemon trees grow in harmony with each other towards the sun. There are mountains, forests, hills, rivers and rugged cliffs on the Atlantic Ocean and plenty of national parks with well-marked walking and cycling paths. Of course everybody knows Port - but did you know that many "English" port cellars can be admired in Porto? You can also see the traditional boats with which the port wine over the river "Douro" arrived into the city. Something else you shouldn’t miss on a trip to Portugal are the “ajezulos” - the authentic blue tiles that you encounter on facades of buildings, churches, train stations and houses but also in beautiful monasteries and in patio’s of other buildings. 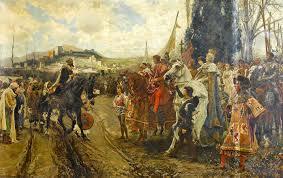 But Portugal is more - the narrow alleys, streets of for example Moorish neighborhoods in Lisbon and/or Porto. Castles from the time that the country was founded on hilltops or enormous monasteries with riches where the farmers knew nothing about. In Peniche it is possible to visit an old prison where old dictator Salazar put away the people with a different opinion and near Coimbra it is possible to see the very impressive Roman mosaics. Evora is the best preserved city in the country with large "plazas" (squares) and the macabre chapel made of human bones. In Portugal, a large group of monoliths was found and much less touristy and busy than in England but just as special and interesting. The country is not really central as used as a transit-hub but you can easily fly from any major European airport to the international airport in Lisbon. Portugal is not as cheap as in the 20th century but still cheaper than any other Western European country. The people are very friendly and helpful even though they are not used to hordes of tourists (except for the major tourist attractions in the Algarve, Porto and Lisbon) and they hardly speak English. There are plenty of places to stay (hostels, hotels and campsites) and public transport is fine - often there is an information office where you can ask times and days because in the countryside do not drive many buses.